On 21 and 22 March, Lisbon played host to the V edition of the EU Factoring and Commercial Finance Summit, a key event in the Factoring and Commercial Finance industry in which Alvantia participated as Gold Sponsor. 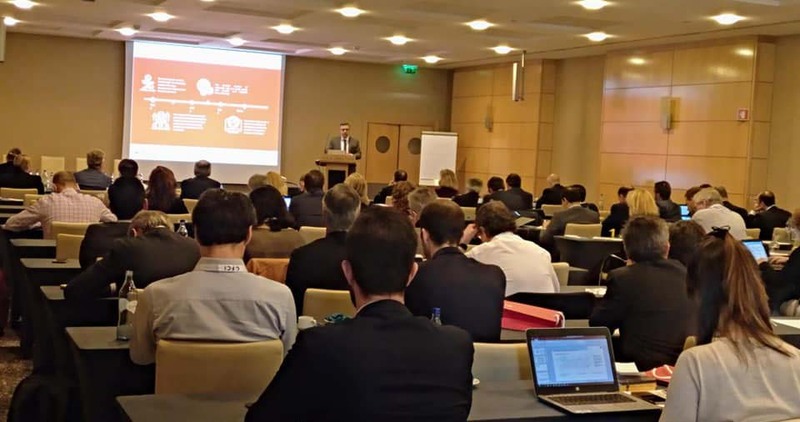 The Sana Lisboa hotel in the Portuguese capital hosted the meeting, which brought together more than 100 sector professionals who, during two intense days, devoted their attention to the interesting presentations and discussion panels included in this year’s programme. Magdalena Barczak, Chairman of the Economic and Statistics Committee, highlighted the enviable health of Factoring at European level, with turnover increasing by 8% during 2018; up 123 billion euros compared to the previous year. In this sense, the highest percentage of growth came from Non-Recourse Factoring, with an increase of 11% in 2018 (more than 87.5 billion euros). -The main sector continues to be the industrial sector which, together with the services and distribution sectors, continues to dominate the industry (accounting for more than 68% of the market among the three). -Although 75% of clients are small companies (businesses with a turnover of less than €10M/year), almost 50% of turnover is still contributed by large companies (with a turnover of more than €50M). -Loss levels in absolute terms are very low. This implies that Factoring operations offer very little risk and should therefore be associated with a lower risk weighting and capital cost. José Antonio Garrote, Business Manager of Alvantia, participated with a presentation on the historical evolution of Confirming, which emerged in the ‘90s as a financial service of Banco Santander (one of our main clients), and which since then has experienced unstoppable development both nationally and internationally. As the expert indicated, “during the last decade, the development of new technologies such as Machine Learning or Blockchain have optimised Confirming, which has become a completely digital service”. On the other hand, several round tables were held around interesting topics such as the role of fintechs in the sector, and the situation of the European market after Brexit. The EU Factoring and Commercial Finance Summit is the only event organised in Europe by the Factoring industry for the Factoring industry, and is a joint initiative of the FCI and EUF associations. 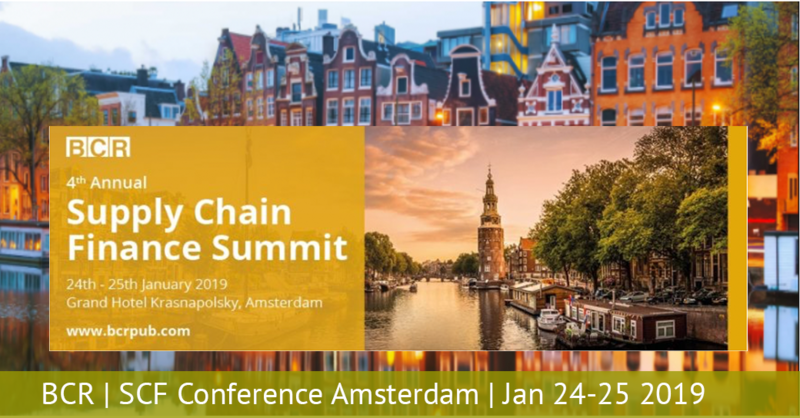 On 24 and 25 January, for the fourth consecutive year, Alvantia took part in the Supply Chain Finance Summit meeting held at the Grand Hotel Krasnapolsky in Amsterdam, bringing together the leading companies in the Reverse Factoring sector. The event, organised by BCR Publishing, had an ambitious programme focused on the latest trends in the SCF industry. As it does every year, Alvantia has decked its offices out in red to celebrate the most significant period in its calendar. In addition to the festive season, the company is also celebrating its birth in 2003, when its CEO, Roberto Gutiérrez, decided to found it on 30 December, an unusual day to establish a business. Alvantia held the third edition of its annual Working Breakfast with the Spanish Factoring Association (AEF) on November 27th at the Puerta América Hotel (Madrid). On this occasion the event looked at disruptive innovation and data protection in the Trade Financing sector and focused on three particular areas: Blockchain, Machine Learning and the latest GDPR developments and new Spanish Data Protection Act. Know-Your-Customer (KYC) defines the controls and procedures of Obliged Entities to ensure both the identification of their customers and the nature of their funds, in order to avoid business relationships with individuals or entities that may be committing money laundering or terrorist financing crimes. These procedures, which come into effect as soon as a new customer is acquired, must remain in force (e.g. updating documents) for the entire duration of the business relationship. Angular 2: new version or new framework? There is an ever-increasing range of innovative tools to streamline software development and web technologies have evolved at lightning speed in recent years. And, not wanting to be left behind, each version of Angular offers very different concepts and ways of working even if they may share some similar features. On 26 September, Alvantia participated in the Annual Convention of the Mexican Factoring Association (AMEFAC), held this year at the Marriott Reforma Hotel in Mexico City. 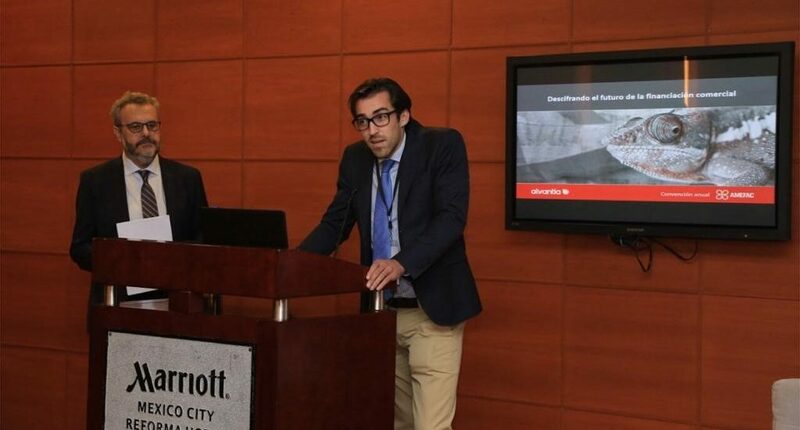 At the event, companies, authorities and institutions involved in the factoring field analysed global trends in the sector in terms of regulations, legal framework, macroeconomic perspectives and new markets, as well as funding alternatives.